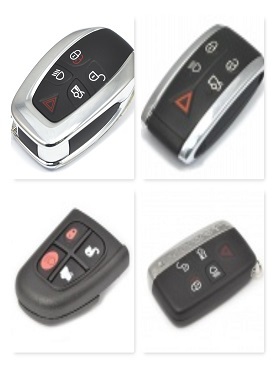 Car Key Assist can provide replacement keys and remotes for Jaguar vehicles across Birmingham and the West Midlands. Lost Your Jaguar Car Key and Need A Replacement or Spare? Using the latest technology we can cut and program a range of car keys for various Jaguar Models - including the X type, S type, F type, XF, XJ and XK. We can replace or your Jaguar car key at a time and place that suits you, with 24/7 call out times and mobile locksmith equipment. Our team of expert locksmiths can help at the roadside, your place of work or at your house. Car Key Assist have been providing a high quality, low cost vehicle locksmith service for 30 years and have maintained a reputation for providing the best customer service possible. From replacing lost keys to removing broken keys from locks and ignition, Car Key Assist can help with any vehicle locksmith service you require. Based in Birmingham, Car Key Assist can provide services across the West Midlands, Shropshire, Staffordshire, Herefordshire, Worcestershire and Warwickshire.